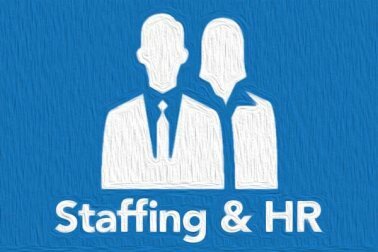 How Can We Be a Human Resource or Staffing Support to Your Company? When you think of a Staffing Agency, what do you think of? Are you on the staffing client end of the relationship where you are responsible for working with an agency to ensure your production needs are met through a well-trained, reliable workforce? Are you a manager or business owner considering whether to use an agency or not to support your current or upcoming staffing needs? Or are you on the other end of the equation where you’re the applicant using a staffing agency to help you find a job where you can gain experience and be successful? Over here at Your Employment Solutions, we are the common denominator in each of the questions posed here. We call that common denominator ‘Human Resources’ or ‘staffing’; to us, it’s one-in-the-same. Going back to the dictionary, Merriam-Webster defines Human Resources as “a department within an organization that deals with the people who work for that organization.” With a staffing agency providing workers to their clients, I dare to consider them as the HR Department for companies who otherwise lack one, an HR extension or support center for those who already do have an HR department, and I also consider a staffing agency as an HR Department in and of themselves because they recruit and manage the human capital for themselves, as well as their clients. There’s another piece to the puzzle though; if Human Resources are those who ‘deal with the people who work’ at the company, aren’t all supervisors and managers considered part of HR then? I would argue so! It’s not enough to simply hire talented and qualified workers. Companies must invest in them through proper on-boarding procedures, support them through training and development, and offer them compensation and benefits that are fair for the work they provide. Often times if any of these are missing from the equation or aren’t given much effort or attention, companies see an increase in turnover and a struggle to recruit the talent they need. In a sense, everybody is part of Human Resources, but not everybody is knowledgeable or comfortable with being considered a part of Human Resources. Sometimes we need help. So how can staffing agencies support your HR needs? More specifically, how can YES (because that’s who I know and trust) support your HR needs? YES strives to deliver to our clients talented contingent, temporary, temp-to-hire, or direct placement workers on time, the first time. We strive to help you meet your business objectives through our own human resource support system and by customizing to your particular business needs. YES strives to create and nurture synergistic relationships where we can support your overall needs and goals by getting to know you and your business, your culture, any internal or industry standards, schedules and seasons, and any other aspect that is used by, or affects your human capital. We value and support proper on-boarding procedures so our workforce can integrate into yours smoothly and comfortably. We continually train and develop our own staff to ensure they are abiding by current employment laws and regulations. We also provide current local and national wage and salary information to our clients if desired so they can determine if they are paying fairly or competitively. YES also offers medical insurance and 401(k) to all full time W2’d employees, as well as any other contracted benefits desired by a client to support or coincide with their internal comp and benefit package. To make an even longer story short, here at YES, we truly believe a company’s workforce is its most valuable asset. We take great pride in helping our clients succeed by providing the human capital they need and desire, and even greater pride in helping talented individuals find jobs where they can be happy and successful. To us, staffing and HR are one-in-the-same. How can we be a Human Resource or staffing support to you or your company? Come by anytime and see how YES can help you!